China Eastern has dropped the price of their flights to various destinations in Southeast Asia down to $550 CAD roundtrip including taxes, for travel between mid November and mid December 2016. You may be wondering what it's really like to fly with China Eastern. Here's a blog post with some honest feedback from Toronto-based flyers. 4. Click through from Skyscanner to the booking site showing the cheap price. But they require a nearly 24 hour layover in Shanghai, China on the way there. You need to depart by April 29th, but can return on nearly any date in May..
May is a good month to visit Bali. April is generally the start of the dry season, although you might want to focus on the second half of April for better odds. Look for the date combinations that are $727 CAD roundtrip. Update 10/19 - Just a heads up that a few of these date combinations are available again. 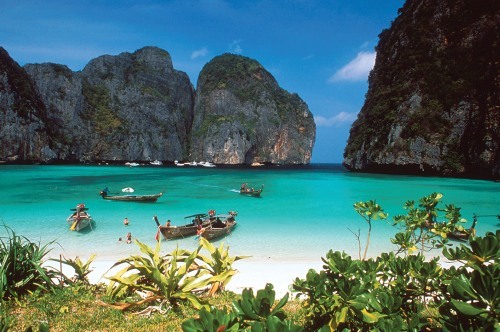 Some flights from Toronto to Thailand are as cheap as $527 CAD roundtrip including taxes! Prices are roundtrip, in $CAD, including taxes and fees. Beside each destination are the dates that are currently working for that destination. Phuket, Ho Chi Minh City, Bangkok, and Singapore have reasonable flight lengths. Hong Kong has long layovers. toronto, yyz, flight deals, bangkok, thailand, asia, southeast asia, singapore, sin, manila, philippines, mnl, hong kong, hkg, bkk, indonesia, denpasar, bali, dps, ho chi minh city, vietnam, sgn, phuket, hkt and china eastern.